The decorated retired Navy admiral stood in solidarity with former CIA chief John Brennan and asked that his be withdrawn as well. McRaven was the head of US Joint Special Operations Command from 2011 to 2014. 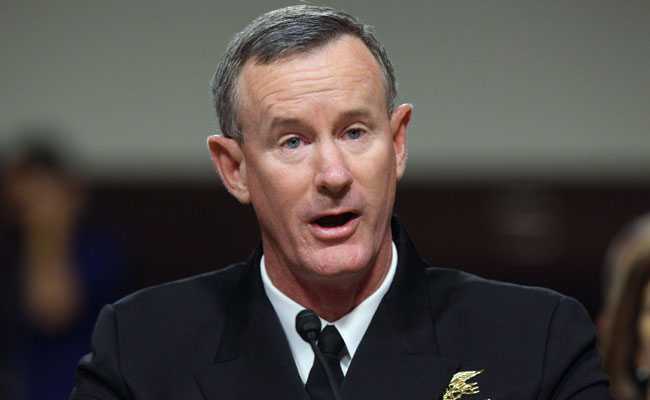 William McRaven, commander of the US Navy SEAL raid that killed Osama bin Laden, condemned President Donald Trump on Thursday for revoking the security clearance of former CIA chief John Brennan and asked that his be withdrawn as well. Following the president's summit last month with Russia's Vladimir Putin, Brennan -- who headed the CIA under Obama -- described Trump's behavior as "nothing short of treasonous." Trump for his part accused the ex-spy chief of tossing around "unfounded and outrageous allegations -- wild outbursts on the internet and television -- about this administration" and engaging in "increasingly frenzied commentary."